To begin the dominoes are placed face down and shuffled. 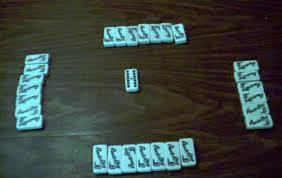 Players draw one domino. The player drawing the highest double or if no double, the highest domino plays first. Re shuffle and then begin drawing the first hand.